The lives of early converts demonstrate some ways God prepares people for the richness of the restored gospel. Why do people join The Church of Jesus Christ of Latter-day Saints? Part of that answer lies in the stories of converts of the past. Consider, for example, the Lord’s preparatory work with six individuals converted to the Church during the early Kirtland period﻿—John Murdock, Parley P. Pratt, Sidney Rigdon, Lorenzo Snow, John Taylor, and Wilford Woodruff. One factor common to most was participation in some denominational church. The only partial exception was Parley P. Pratt. His family, while devout, did not join a church, because they felt the denominations were at odds with one another. For the other five, however, a basic religious foundation was laid for the most part through their participation in other churches. Further preparation took place as the Spirit led all six to search for more truth. Inevitably, the Spirit led them to begin their search in the Holy Bible. Because of their study of the Bible and the whisperings of the Spirit, they already knew the gospel before the missionaries preached it to them. They were merely waiting to find it. Their principal question was not what the gospel was, but rather where it was and who had the authority to administer its ordinances. They tested all missionary claims against the teachings of the Bible and the promptings of the Spirit. Even the Book of Mormon was examined against these two criteria. For these men, it was essential that the Spirit bear witness to the truth of the Book of Mormon, and the final assurance came as they found that this new scripture bore witness of the same things the Bible did. In spite of the denominational affiliations these early converts held, they all felt a sense of religious dissatisfaction. John Murdock, Parley Pratt, Sidney Rigdon, and John Taylor were members in their lifetimes of more than one denomination or religious group before joining the Church, and in each move they sought a Christianity closer to that which they found in the New Testament. Brothers Murdock, Pratt, Rigdon, and Woodruff were Campbellites immediately prior to becoming Latter-day Saints. In addition, Murdock, Pratt, Rigdon, and Taylor were denominational preachers during their lives. Thus, four out of these six men sought to serve God through the established denominations of their day. All, however, felt that there had to be more to the gospel than was being preached in the various denominations. Consequently, when they found a denomination that closely resembled the New Testament Church, they knew that it was that for which they had been searching. This longing to find a church that reflected the Church of the New Testament was supported by some deep spiritual experiences. The stories of John Murdock, Parley P. Pratt, and John Taylor will serve as illustrations. At seventeen, John Murdock had an accident that led him to covenant with the Lord that if the Lord would spare his life, John would serve him from that time on. Later, when he was around age twenty-five, he was engaged in prayer when a vision was opened in which he found himself before the bar of God being asked whether he “had commemorated the death and sufferings of the Saviour, by obeying the Ordinances.”22 As a result, he immediately began to seek a society where such ordinances could be found. His study of the Bible convinced him that immersion was the proper form of baptism, that infant baptism was unnecessary, and that faith and repentance must precede baptism. He also contemplated what it meant to be born of water and of the Spirit, as recorded in John 3:5. He recognized that to be born of water was to be baptized, and after reflection he learned that to be born of the Spirit was to receive the Holy Ghost. Under his mother’s guidance, Parley Pratt’s spiritual education began with the Bible when he was seven. He read the great stories of Joseph in Egypt, of David and Goliath, of Jesus and his Apostles, and loved them all. By the age of twelve he was reading the book of Revelation and contemplating the martyrs and the millennium. Reading the scriptures highlighted for him the spiritual differences between the ancient Church and the churches of his day. When he asked his father why this was so, he was told that times and circumstances had changed. In response, Parley “still continued to study the scriptures to learn how to be saved.”27 It was at this point that he sought baptism by immersion from the Baptists, and though he still saw a disparity between the ancient and modern churches, he attended meetings and tried to keep the commandments of Jesus as best he could. Yet he could not escape the feeling that he had not found Christ’s Church. Shortly after Parley’s intense study of these things, he met a minister in upstate New York who told him of a “strange book” that a young man who lived in the vicinity claimed to have translated﻿—the Book of Mormon. The next day, Parley saw the book for the first time and began eagerly reading it. Almost immediately, the Holy Ghost bore witness to Parley of the truthfulness of the Book of Mormon and of the restoration of the ancient order with the same authority that had been revealed in biblical times. On the Sunday after his baptism into the Church, he was asked to preach. He states, “The Holy Ghost came upon me mightily. I spoke the word of God with power, reasoning out of the Scriptures and the Book of Mormon.”30 He, too, had found what he sought. John Taylor’s story is one of strong spiritual promptings. As a child he had a vision in which he saw an angel holding a trumpet to his lips and sounding a message to the nations. Though he did not know then the meaning of the vision, it had significant impact on him. As a boy, he spent many hours in prayer and Bible study, believing that all good gifts came from God. After he was called to be a Methodist lay preacher, he was traveling to fulfill an appointment when the Spirit impressed upon him the need to go to America. After immigrating to Toronto, Taylor joined a group of men who were dissatisfied with the theology of their day because of “the wide difference between modern and primitive Christianity, in doctrine, in ordinances, in organization and above all, in spirit and power.”31 They saw no correlation between the ancient organization of Christ’s church as displayed in the New Testament and what they saw around them. Before joining the Church, John Taylor had spiritual dreams and promptings. Thus, like John Murdock and Parley Pratt, John Taylor was led by the Spirit and by scripture to recognize and accept the fulness of the gospel. It is evident that all six men were prepared by the Lord for the restoration of the gospel long before they ever encountered it. The principal agents of preparation were the Holy Bible and promptings of the Holy Spirit. In The Church of Jesus Christ of Latter-day Saints, they found that for which they had been prepared﻿—Christ’s church in its fulness. We know that in our own day, the Lord is preparing many of his children for the fulness of the gospel in exactly the same way he prepared these early Saints. Many of tomorrow’s members of the Church are growing up in religious homes. They are learning of God’s justice and mercy and love. Many are learning of Jesus Christ and his atonement. They are learning to pray and to seek God’s guidance. They are growing within their diverse religious settings. They may be Catholics, Lutherans, Muslims, or Hindus, but they are being taught foundational principles of religion. Many are exploring the scriptures for themselves and discovering that there is more to the gospel than they have yet been taught. They hunger and thirst for all that the Lord has in store for them. They are being prepared for the fulness, just as surely as were John Murdock, Parley P. Pratt, Sidney Rigdon, Lorenzo Snow, John Taylor, and Wilford Woodruff. John Murdock, A Brief Synopsis of the Life of John Murdock, ed. Reva Baker Holt (Provo: Brigham Young University, 1965), pp. 1–2. F. Mark McKiernan, The Voice of One Crying in the Wilderness (Lawrence, Kans. : Coronado Press, 1971), p. 14. Eliza R. Snow Smith, Biography and Family Record of Lorenzo Snow, One of the Twelve Apostles of the Church of Jesus Christ of Latter-day Saints (Salt Lake City: Deseret News Co., Printers, 1884), p. 2. Francis M. Gibbons, Lorenzo Snow: Spiritual Giant—Prophet of God (Salt Lake City: Deseret Book Co., 1982), pp. 1–2. B. H. Roberts, The Life of John Taylor, Third President of The Church of Jesus Christ of Latter-day Saints (Salt Lake City: Bookcraft, 1963), pp. 25–26. Francis M. Gibbons, Wilford Woodruff: Wondrous Worker, Prophet of God (Salt Lake City: Deseret Book Co., 1988), pp. 2, 5. Gibbons here quotes portions from the Juvenile Instructor, 15 June 1867, p. 14. 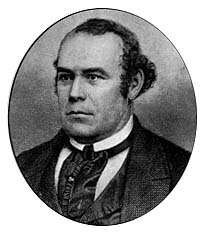 Matthias F. Cowley, Wilford Woodruff, Fourth President of The Church of Jesus Christ of Latter-day Saints: History of His Life and Labors as Recorded in His Daily Journals (Salt Lake City: Bookcraft, 1964), p. 21. Gibbons, Wilford Woodruff, p. 5. Wilford Woodruff, Leaves from my Journal, 4th ed. (Salt Lake City: The Deseret News, 1909), pp. 2–3. Parley P. Pratt, Autobiography of Parley Parker Pratt, ed. Parley P. Pratt, Jr. (Salt Lake City: Deseret Book Co., 1980), p. 19. Orson Pratt, The Orson Pratt Journals, comp. Elden Jay Watson (Salt Lake City: Elden Jay Watson, 1975), pp. 6–7. Roberts, The Life of John Taylor, p. 33. Murdock, A Brief Synopsis, pp. 2–5. Pratt, Autobiography, pp. 21, 24–26. Richard Lloyd Anderson, “Impact of the First Preaching in Ohio,” BYU Studies 11 (Summer 1971):477. History of the Church, 1:120–23. Gibbons, Wilford Woodruff, p. 6. Lorenzo Snow, Journal and Letter Book, 1836–1845, LDS Church Archives. Used by permission. Eliza R. Snow Smith, Biography and Family Record of Lorenzo Snow, p. 4. Lorenzo Snow, letter to his sister Eliza on 12 March 1836. Found in Lorenzo Snow, Journal and Letter Book (23 Aug. 1840–19 July 1844), LDS Church Archives. Used by permission. Murdock, A Brief Synopsis, pp. 1–3. Pratt, Autobiography, pp. 20, 25. Roberts, John Taylor, pp. 27–28, 31. 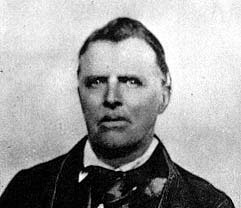 Daryl Chase, “Sidney Rigdon﻿—Early Mormon,” M.A. thesis, University of Chicago, 1931, p. 14. Eliza R. Snow Smith, Biography and Family Record of Lorenzo Snow, pp. 5, 7–8. 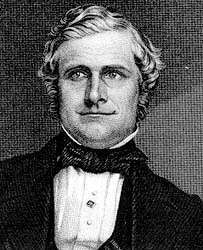 Cowley, Wilford Woodruff, Fourth President p. 18; Gibbons, Wilford Woodruff, p. 6. Roger R. Keller serves as Sunday School president in the Sunset Heights Second Ward, Orem Utah Sunset Heights Stake.